The rise in online takeaway ordering has brought many benefits for the consumer, so it's certainly here to stay. 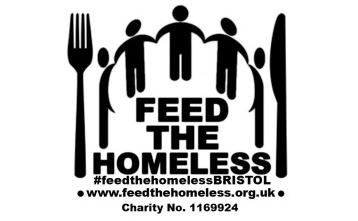 However it's not all good news for the restaurant owner as this brings with it an increase in costs. With this in mind Takeout Technology have developed an ordering solution that breaks the mould. It has been designed from the ground up by taking feedback at every stage of its development from restaurant owners like you. It delivers all of the great consumer benefits to your customers yet your bottom line no longer needs to suffer and you take back control of your customer base. It couldn't be simpler. Your expertise is in delivering great food, ours is delivering a great ordering experience for your customers. Our Web Developers will design your own branded website. Alternatively, if you already have an existing website, we can bolt on the Takeout Technology platform branded the same as your existing website. Takeout Technology provides a real time reporting tool, which means you can view who has registered with you, what their spending habits are, your takings for the day, week, month or year and current and historic orders. Your customers only see your menu. Flexible payment system; use your existing provider or ours. Use your existing website, or we will design a new one. 1. What do you get? Free branded Website with ordering platform. You own your customer base. It's your branding on the ordering platform. 3. What if I have existing payment provider? We can integrate your current payment provider, or we can provide one. 4. What if I have an existing website? If you have an existing website, we will integrate the ordering system into this. 5. Can I still use another ordering provider? Yes, they can run side by side. 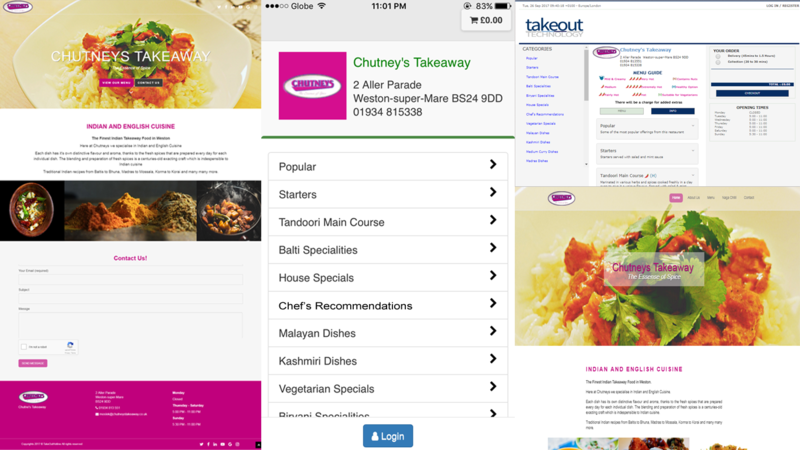 "Designed by restaurateurs for restaurateurs"
Welcome to TakeOut Technology (the “Website’). The Website and any and all entities that control, are controlled by, or are affiliated or under common control with the website, are collectively referred to herein as “we,” “us” or “our.” “You,” or “your,” refers to you, a registered user of our Website. THIS IS A LEGAL AGREEMENT (“AGREEMENT”) BETWEEN YOU AND THE WEBSITE. PLEASE READ THIS DOCUMENT CAREFULLY BEFORE CONTINUING YOUR REGISTRATION ON THE WEBSITE. BY CLICKING ON THE BOX ADJACENT TO “I have read and agreed with the terms and conditions Required” AND SELECTING “Register”, YOU ARE AGREEING TO BE BOUND BY, AND ARE BECOMING A PARTY TO, THIS AGREEMENT. IF YOU DO NOT AGREE TO THE TERMS OF THIS AGREEMENT, DO NOT CLICK ON “Register” AND DISCONTINUE YOUR REGISTRATION. YOU AGREE THAT BY USING THE SITE YOU REPRESENT THAT YOU ARE AT LEAST 18 YEARS OLD AND THAT YOU ARE LEGALLY ABLE TO ENTER INTO THIS AGREEMENT. We reserve the right, in our sole discretion, to change, modify, add or delete portions of this Agreement at any time. You acknowledge that this Agreement is supported by reasonable and valuable consideration, the receipt and adequacy of which are hereby acknowledged. Without limiting the foregoing, you acknowledge that such consideration includes, without limitation, the mutual promises herein, your use of the Website and receipt of data, materials and information available at or through the Website. TakeOut Technology will not be liable for any delay or default in the performance of its obligations due to any cause or circumstance beyond its reasonable control, including but not limited to any industrial dispute. TakeOut Technology will provide a website, if one doesn’t already exist. If you have, we will integrate our ordering platform into your site. We also build you your own branded iOS and Android Applications, that will be loaded onto the relevant app store. We also provide an Android Smart printer too for your orders. There is also a back-end system to show who has registered, orders, order fulfilment, etc. Were applicable TakeOut Technology provides training as well as 24/7 support. TakeOut Technology partners with WorldPay, which will form part of the sign-up process. There is a platform charge of £1.00 plus VAT added to each order. Which is paid for by your customer for using the service. If you already have an existing payment provider, we can integrate this into our platform. The platform will automatically add £1.00 plus VAT to each order. TakeOut Technology will invoice the restaurant for payment on the 1st of every calendar month. Payment will be made by bank transfer and payment terms are 7 days from receipt of invoice. When a cash order is taken by the system, the £1.00 plus VAT is a mandatory charge. Billing would in arrears on the 1st of every calendar month, an invoice would be emailed to the restaurant. Payment to be made by bank transfer and payment terms are 7 days from receipt of invoice. The Website hereby grants you a personal, indivisible, terminable, non-exclusive license to access and make personal use content on this website for your own personal non-commercial purposes. No information, content or material from the Website or any Internet site owned, operated, licensed, or controlled by us may be copied, reproduced, republished, uploaded, posted, transmitted or distributed in any way, except that you may download one copy of the information, content or materials on any single computer for your personal, non-commercial home use only, provided that (a) you keep intact all copyright and other proprietary notices, (b) you make no modifications to the information, content or materials, (c) you do not use the information, content or materials in a manner that suggests an association with any of our products, services or brands, and (d) you do not download information, content or materials so as to avoid future downloads from the Website. The use of any information, content or materials on the Website on any other website or computer environment is prohibited. Without the Website’s express written consent you may not: (i) use frames or framing techniques to enclose this site or any portion; (ii) use meta tags or other “hidden text” utilising TakeOut Technology’s name or trademarks. The Website hereby additionally grants you a personal, indivisible, terminable, non-exclusive license to create hyperlink(s) to our pages so long as the link does not portray the Website, its affiliates, or their products or services in a false, misleading, derogatory, or otherwise offensive matter. You may not use any of our logos, other proprietary graphics or trademarks as part of the link without our express written permission. You shall be exclusively responsible for the supervision, management, and control of your Website user login and password. You shall ensure that you properly exit the Website at the end of each session. We will not be liable for any loss or damage arising from your failure to comply with these terms. Your right to use the Website is not transferable. You will use the Website in accordance with all applicable laws. We may, without notice, terminate your access to the Website or take other actions as are reasonably necessary to comply with legal requirements and as necessary to protect our networks, information and the security and integrity of the Website. We have adopted and implemented a policy that provides for the termination, in appropriate circumstances, of users who are infringers of the copyright or any other intellectual property or privacy right of third persons. 10.1 For cancellation the customer must inform via email or phone at least 7 days prior to their billing cycle. 10.2 Non-usage of service does not constitute the cancellation of an account/service. All cancellation requests must be submitted in the form of an email to customer service. 10.3 TakeOut Technology reserves the right to cancel the service with one month’s notice if order levels do not meet the required level (orders per month). Minimum order level to retain the service is 25 orders per month. Customer shall pay for all fees and charges on or before the invoice due date of each and every month of this Agreement (the “Due Date”) with all amounts being paid without demand at the offices of TakeOut Technology. Late payments will accrue interest at a rate of one and one-half percent (1½%) per month, or the highest rate allowed by applicable law, whichever is lower. If in its judgment TakeOut Technology determines that Customer lacks the financial resources to meet its obligations to TakeOut Technology, TakeOut Technology may require Customer to secure payment of its obligations to TakeOut Technology before providing Services. At all times the printer provided as part of the ordering service remains the property of TakeOut Technology and on cancellation of the contract by either party. The printer will be returned to TakeOut Technology. The customer agrees to pay all costs of shipping the printer device back to us. In the unlikely event that the printer develops a fault. TakeOut Technology will provide another printer for orders, while the aforementioned faulty printer is either repaired or replaced. In the event of printer damage or loss, the customer agrees to obtain a replacement device from TakeOut Technology at their own cost. Current cost of a replacement printer including shipping is £300.00 plus VAT.